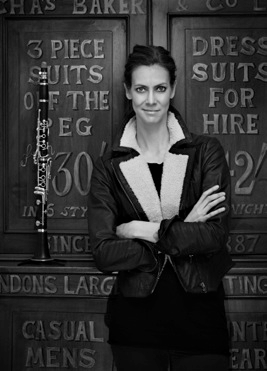 Clarinetist Sarah Beaty performs internationally both as a soloist and in collaboration with many of todays finest artists. In New York City Sarah has appeared as a recitalist, chamber musician and concerto soloist at Carnegie Hall. An alumnus of Carnegie Hall's “The Academy” in New York City, Sarah is also co-founder of the Ikarus Chamber Players as well being a member of the Knights Orchestra. Sarah is thrilled to collaborate with a number of ensembles including the Elias, Callino and Brodowski Quartets, the Aronowitz and Metropolis Ensembles, and contemporary groups Argento New Music Project and the Wet Ink Composers. Sarah is the grateful recipient of the Maisie Lewis Young Artists Award, Yamaha Music Foundation of Europe woodwind prize, Ian Fleming Award from the Musicians’ Benevolent Fund, June Alison Woodwind Award from the Philharmonia Orchestra/Martin Musical Fund and The Hattori Foundation award.